Discussion in 'Classic Menswear' started by patrickBOOTH, Feb 27, 2013. Oconnell's only a had a green one in my size and they don't make the "real thing" anymore to order more. Beautiful Trench coat from Timothy Everest. But a white trench coat is not very practical. I was looking for a relatively classic trench, but didn't want to pay for burberry or aquascutum. So, I took a gamble on this. I’ve been looking for a proper trench for 10 years. I wear a 34-36S, so fit has been a big problem. That, and living in Southern California, makes it hard to justify spending real money. I gave up and bought one at J.Crew on sale for around $250. It’s good enough for now. I am still wearing the Fleabay brooks coat from this thread. I think I have been wearing it enough to know that when I get around to getting a bespoke one, I find that the detachable lining is superfluous. I never attach mine, it is annoying and I find with my winter weight suits the cotton twill fabric is fine enough on its own. If it is cold enough that you need it it is most likely snowing by then anyway. The fit still bothers me. When you go everyday wearing clothes somebody made, anything else feels very noticeably off. The low armholes, shorter than ideal sleeves, and back balance bug me, but honestly nobody probably notices. I find it does kind of stand out, people look at it as this classic style is a bit costumey. At work people love humming the Inspector Gadget theme song at me. I hope every once in a while your co-workers buy you a big salad in appreciation of the hours of amusement that you provide. I know I would. We all keep each other on our toes. My latest nickname in the office is "General Malaise". Click this link. Thank me later. About a year and a half ago I got an Aquascutum Bogart trench coat. I wrangled hard over the decision because of the price (and buying site unseen). I really couldn't be happier. Like others, I lament the fact that modern trench coats are too short. I had been using a Banana Republic trench - which actually wasn't bad, it was just too short. The coat does it's job well - even though I don't actually spend a lot of time out in the rain. But, it is without a doubt, stylish as all get out. I also like that they have pass-through pockets so I can reach through the pockets and into pants pockets for phone or wallet. The only real thing missing would have been a detachable liner for warmth. But, it just looks so much better than the soft fabric coats (like London Fog) and it was one of the few currently made coats I could find that is full length. Just now joining this thread. The Armoury carries Coherence and their cool Al trench coat. Modeled after Albert Camus’ classic trench he always wore. Grenfell makes interesting looking classic trenches. * Not traditional DB Trencher, I know! 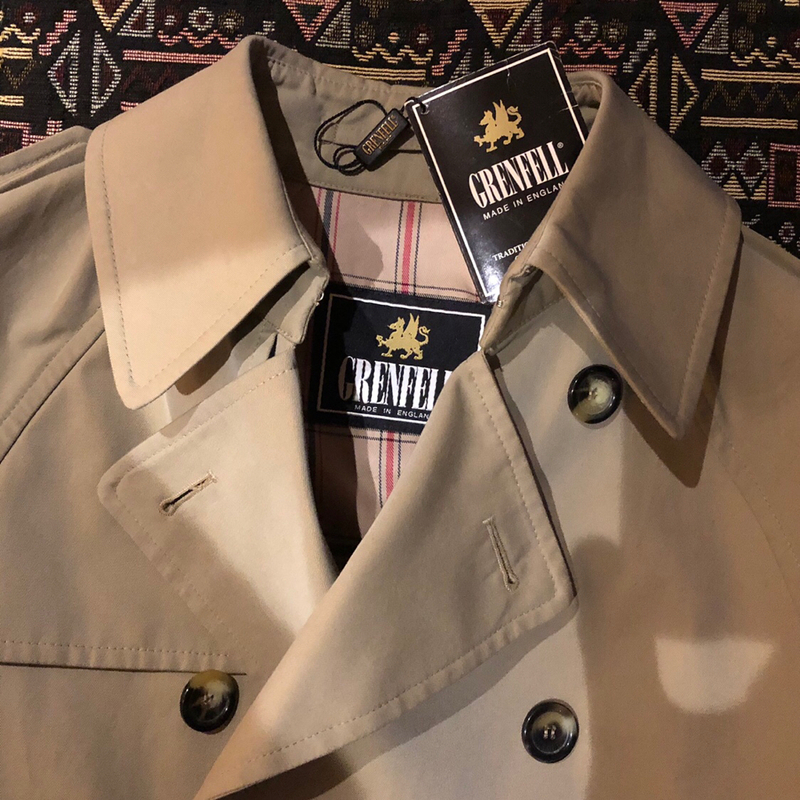 I bought some weeks ago a very nice Grenfell trench "Made in England", a different model that the one of your link as it's unlined and doesn't have a warmer. Nevertheless, for what I need it, I feel is perfect.